Care for a different kind of Kiss? | Sugoi Stuff Care for a different kind of Kiss? Home » Crafts and Hobbies » Care for a different kind of Kiss? Care for a different kind of Kiss? 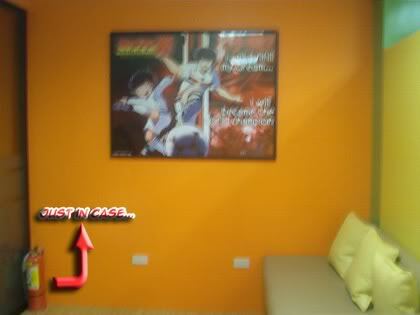 For manga (that’s Japanese comic book for the laymen) enthusiasts out there, there’s a brand new haven for you just lying in the heart of Makati City. 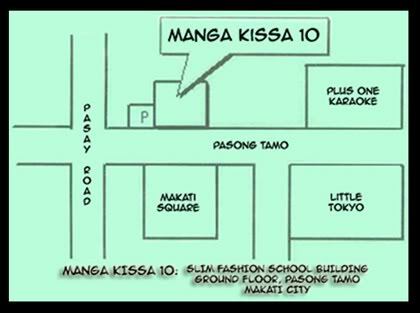 I excitedly present to you – Manga Kissa 10! I don’t exactly know whom to thank, but by golly jeez! 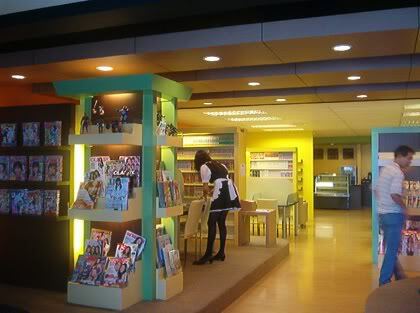 I never thought there would be an authentic Japanese manga cafe here in the Philippines just an MRT (and jeepney) ride away! 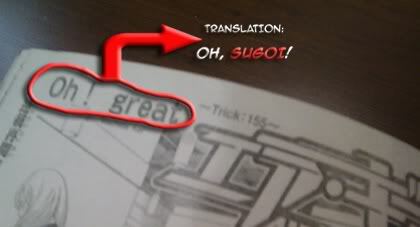 Team Sugoi actually got there via MRT. We got off at the Buendia station (took the South bound exit) and took a jeepney (there’s a terminal across the street from the MRT station). 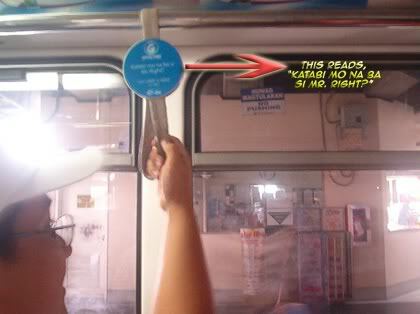 We got off before the intersection between Buendia Avenue a.k.a Sen. Gil Puyat Avenue and Pasong Tamo. We crossed the street and got on the jeep with the Mantrade MRT sign. The cafe is on the right side so be attentive, but you really can’t miss it with its huge orange sign. NOTE: Please read vizard’s comment below for an alternative route. Thanks, vizard! F.Y.I. Akutenshi_13 was standing right beside Alex. I wonder what would their respective girls say about that, huh? 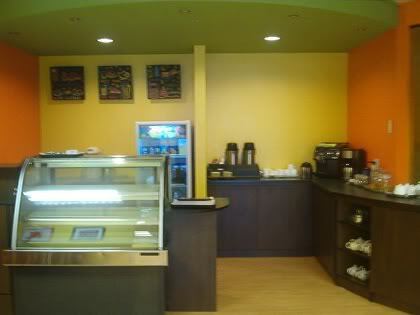 Cafe hours are from 11 A.M. to 12 MN, Sundays to Thursdays and 11 A.M. to 2 A.M. on Fridays and Saturdays. The first hour costs 200 PhP plus 125 PhP for each succeeding 30 minutes. For those who mean to get a better deal, they can pay 530 PhP for 3 hours or 790 PhP for 5 hours. Anyway, I guess the target market is really the Japanese ex-pats who reside in the neighboring subdivisions or those who work in the yuppy district. Almost all the reading materials are in Japanese (except for some Philippine-published mags), so you really have to know how to read kanji to make it worth your money. Aside from that, majority of the manga cater to the males (shounen manga). Miss Irish said that the shoujo manga (think Harlequin, Sillhouete, Mills & Boon in comic book format) will be coming in next week. Apparently, female customers have been pouring in their requests. I have a request of my own though, I hope they also get some manga in English. There are a lot of Pinoys out there who would love to fully avail of the cafe’s services but very few can read kanji (good thing I can read a bit). 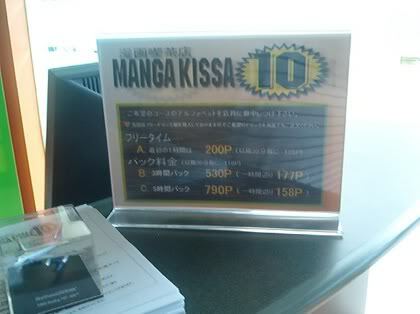 If anyone from Manga Kissa 10 is reading, please do consider this. Trust me, Pinoys will flock to the cafe. NOTE: Check Manga Kissa 10’s comment below. They assure us that they’ll be getting English titles too, and soon! Yey for us and yey for them! 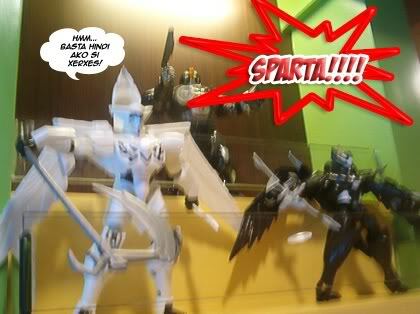 Thanks, Manga Kissa 10! Fortunately, they do encourage people to just have a look-around minus the reading and the refreshment, of course. One of the waitresses said that sometimes there are people who would go in just to use the computers for web browsing. I almost forgot! The computers can also function as DVD players. 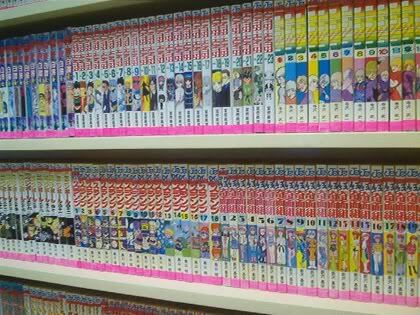 They do have a small (but growing) collection of DVD’s, just in case a customer gets tired of reading. Neat, huh? And here are the F.o.T.S (Friends of Team Sugoi)! We put the what in what?! You can also inquire about Vodafone units here! What is Flori reading? Oh wait, I am Flori! 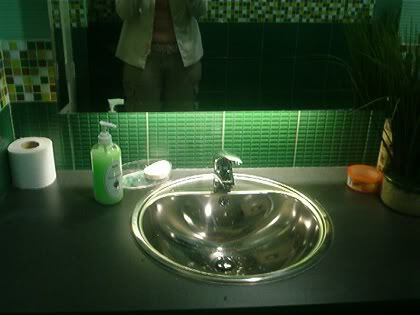 We girls are sticklers for a clean bathroom… and we were not disappointed! 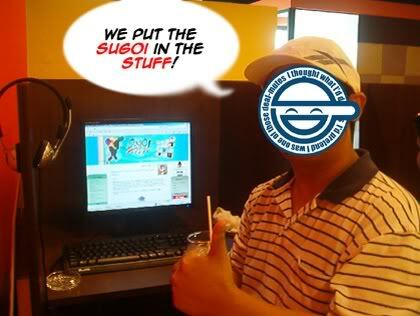 You cannot get rid of Sugoi! Beware… it’s everywhere! Sorry… still have a 300 hangover. And the cafe has a smoking area too. Mind the fire extinguisher! Hope you get the chance to be there too! 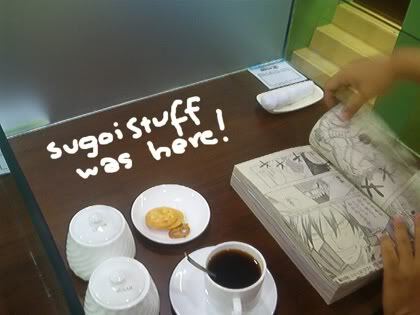 Some photos were taken from Manga Kissa 10’s Multiply site. 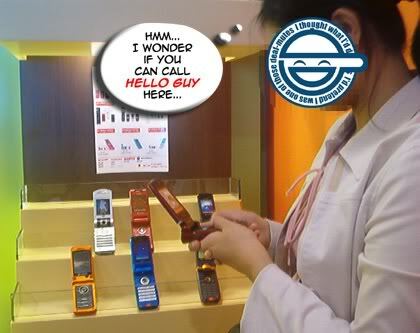 ohh…u mean the mangas arent for sale…???? Lol government employee? When did the government back home, get so bored? If they want to find abuse of minors, they should try the catholic church, good bet ne? Or maybe, just maybe stop stealing all the friggin money and try safe those children in the dumps! HYPOCRITES! you guys make me puke… sorry for the rant, i just needed to let off steam..
Its a great development in the manga/anime life in Pinas, i am looking forward to more of this! I will definitely give it a visit when i come to Pinas! So please dont go bankrupt or something like that. hi there.. 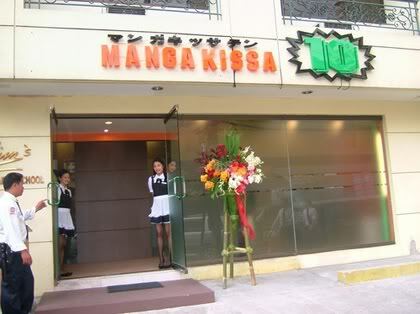 I would like to know is this MangaKissa 10 still exist?? and also, I would like to know if how they accept employees? Should they be fluent in nihonggo?? or not?? please reply at my e-mail. fancymystic.silverlynx@gmail.com. Thanks.. I really wanna know more about this shop! Hi, unfortunately they have closed their store last year. is this store still open? wanna go. i wonder if its still open. 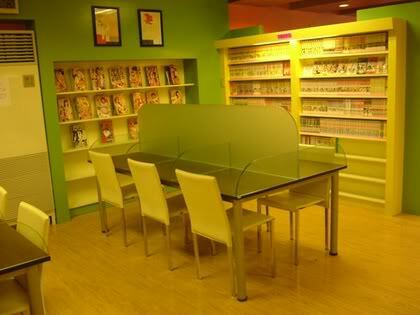 i didn’t know that there was a manga cafe there in makati and its just near my nihongo school!